Wow! Tom Spurgeon just posted his pick of the TOP 50 GRAPHIC NOVELS OF 2006 at THE COMICS REPORTER -- and right there, at number 1, is KAMPUNG BOY! Just wait till you see TOWN BOY, Tom! Yay! Congrats! 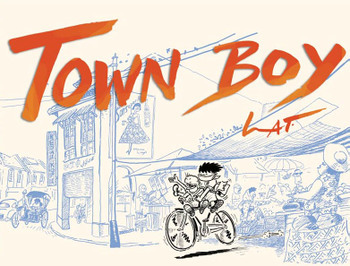 I'm also looking forward to having Town Boy by FirstSecond. I really like the friendly format and the cover style of Kampung Boy and seriously plan to collect this series.